This is a guest post by Josh Michaels developer of Magic Window and 24 Hour Wallpaper. Imagine… the press is swirling that Apple has forgotten about the Mac in favor of iOS… a special press conference is called at Apple and an event titled “Back to the Mac” is held to set the story straight. Apple still loves the Mac! No, this is not a recent event. And the host wasn’t Tim Cook – it was Steve Jobs. This was the Apple event that announced the first Mac App Store. I’d say I can’t believe I lived to see this story play out again, but that tends to be a pretty common occurrence working in technology. Once again Apple has been on the defensive about how much attention Mac is getting, and once again Apple answered with beautiful new hardware, the new Mac App Store, and a host of other improvements in macOS Mojave. It feels like everything in the world has changed between the “Back to the Mac” event and now. One thing remains the same: the opportunity for indie developers on the Mac is compelling. The Mac App Store is a unique and often overlooked market in the Apple ecosystem, and there has never been a better time than now to ship products into it. Our app 24 Hour Wallpaper has been in the Mac App Store for most of the past two years. It offers about the same thing Apple now does with Dynamic Desktop, except it has a lot more wallpapers. Up until Mojave launched, the app had sold an embarrassingly small number of copies. Even after Dynamic Desktop was announced, the app averaged less than one sale a day. It’s hard to make a bet on an app that has been selling poorly for two years, but the opportunity here looked right. With Apple providing only two Dynamic Desktops, we could fill the demand that their limited offering would create. And with a brand new Mac App Store with video previews, we could actually communicate how beautiful the wallpapers are to customers. Now 24 Hour Wallpaper is growing faster than any of our previous Mac apps and without any special feature. I have to give a lot of the credit here to Apple. They created a beautiful new store on the Mac and created a great opportunity there that I could build an app to fill. Can you tell when the new Mac App Store opened? There are several aspects to the Mac App Store that make it a ripe opportunity at this time. I’ll enumerate some of my favorites here. As with all opportunities this one brings risk. Having invested in new Apple markets that didn’t pan out I know that first hand. But this is a market that has shown it can be lively and at least at the moment is lively once again. I’ve seen a few posts ripping on the Mac App Store for having really crappy apps. And it’s true, there are a lot of bad, knock-off apps that should probably be removed. But among those are a limited number of really high-quality apps like Fantastical, 1Password, and iA Writer. And high-quality apps that speak to what Apple wants have a good opportunity for promotion. Obviously Apple wants quality apps to promote, and if you’ve got one that ups your odds. The fact that crappy apps are doing well in the Mac App Store should be one of the first indicators of opportunity. The first apps on iPhone weren’t particularly stellar. But over time as the market proved itself the bar went way up for what was expected from a quality app. On the Mac the bar is still surprisingly low, especially for apps that fill a clear need. Take a look through the Mac App Store at the kinds of apps doing well based on their ranking and what their price points are. Notice the kinds of apps doing well overall are generally high quality, and generally priced above $10. See if you can identify a product area on Mac currently lacking a high-quality app. On iOS it seems like any time Apple puts out new APIs or features that devs could take advantage of they get swarmed and quickly saturated. If there’s something new and cool that can be done on iOS, you better be there on day one with the app that does it best, or 100 other people will take your place. Looking through the Mac App Store only a handful of devs took advantage of a swath of new opportunities that came along with Mojave including sellable plug-ins for Safari. 24 Hour Wallpaper is currently the only app that took advantage of the opportunity with Dynamic Desktop. I was sure there would be others. Take a look through the latest APIs and opportunities available on Mac and particularly opportunities with Safari. See if you can identify an area where a common need is not currently being filled by a quality app. The Mac App Store exists in some magical land of the lost where people are still willing to pay in increments of $10 for apps. The full set of factors that shape the Mac Desktop market have not yet pushed the prices down to the bottom as we have seen in the iOS and Android markets. It’s entirely reasonable to charge $10, $20, even $50 for a Mac app if it is high quality and fills a real need. The new free trial model could change that game. There is of course also a market for lower priced apps ($1-$9.) The opportunity there is interesting because the volume required to rank in the top app charts on Mac is two orders of magnitude lower than on iOS. With many of the apps costing more, the possibility exists for a lower priced app to stand out and get exposure through the rankings. In simple terms, it’s a lot like the early days of the iOS App Store, but with even higher prices. When pricing your Mac app, be sure to reference the price points of other common Mac apps. If you price your app like an iOS app in the Mac App Store you’ll be leaving money on the table. The Mac App Store was the only remaining major App Store that did not support video previews. This was a real let down especially with the higher price-point, as people who are going to spend $10 or $20 on an app want to see more than just five screenshots. Despite the fact that the presentation of the videos in the store is not perfect, the sales page is a dramatic improvement over the previous store. Looking at the old store now feels like looking at a web page from the 90s. Apple did a great job with the update and the addition of videos makes a big difference with conversions. When shipping apps on Mac always include a preview video. Be sure to review many other app video previews before making your own. Notice that right now the App Store is cropping the preview videos awkwardly on the right and left, so extra attention is needed for alignment. Be sure to carefully read Apple’s video specs here. With the new “make it easy for iOS apps to go to Mac” initiative Apple is trying their best to push iOS devs to support the Mac platform. How well this will work we’ll have to wait and see, but in the meantime the tools for iOS devs are still not available. So there’s this fresh new Mac App Store that is anticipating a bunch of iOS apps to come in, but there’s a good year or more before that’s going to happen. The qualities that make this opportunity great could easily evaporate when the new iOS conversion tools go live. While the tools will make it easier to convert an iOS app to Mac, if you’re building a new Mac app that’s of no advantage to you. And many of the best opportunities are for things that are unique to Mac, so having an iOS version won’t help anyway. The truth is that Mac development and iOS development haven’t been that different for some time. Yes, there are a range of differences and eccentricities that you need to learn, but an experienced iOS developer should not have problems on Mac even without special tools. What the tools ultimately do is lower the bar for everyone else. If you’ve been focused on iOS for a while consider taking a look at the opportunity right now on Mac and acting on it. You will find Mac is not dramatically different from what you’re accustomed to for development on iOS and as an indie you may have better luck getting noticed. Look for something that fills a real need – Your “great idea” can’t beat an app that does something everyone already needs. Look for something unique that no one has done – The API surface is full of unique opportunities. Yes Sandboxing can be frustrating, but think outside the Sandbox. 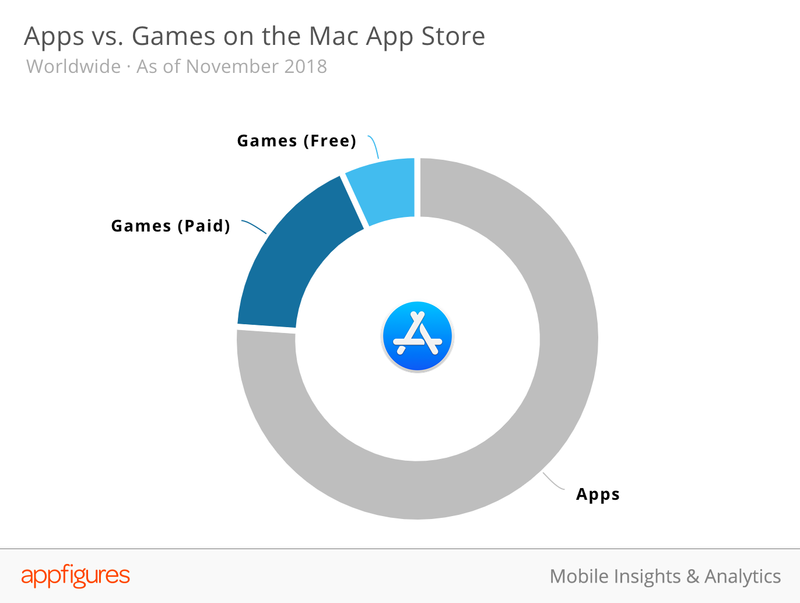 Avoid games – Games just aren’t that popular in the Mac App Store (despite extensive editorial exposure). And games are among the hardest kind of app to build and succeed with in the first place. Unless you have already built a game that is popular on other platforms, you’ve got better choices. Keep it simple – Challenge yourself to ship a simple app in 2-6 weeks. Find something basic and make it happen. For inspiration, take a look at this short video “Start Now, No funding needed” by one of my heroes Derek Sivers. The simpler you keep this, the better your odds are going to be. Josh Michaels is a multi-disciplinary artist & engineer who works with time as a medium. Josh is best known for his visual apps including Magic Window, Earthlapse, Magic Flowers, and Magic Fireplace. His latest app 24 Hour Wallpaper brings more Dynamic Desktops to macOS with beautiful wallpapers that match the time of day. More on his apps can be found at http://jetsoncreative.com.